Losira sure had a bum deal — when you look past the silliness of how she’d appear and disappear, it’s really a tragic story. I made the title appear to be trying to lift itself up. But at least beauty did survive. 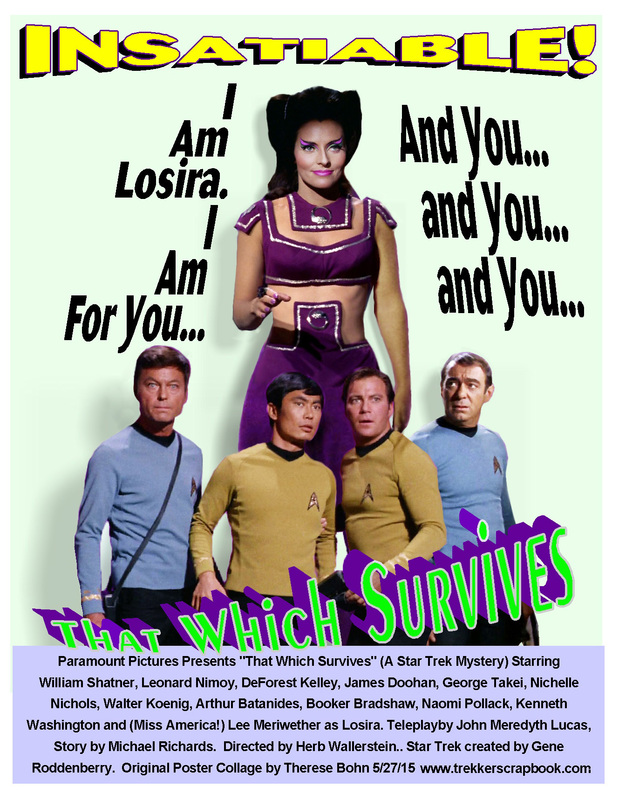 This entry was posted in My Star Trek Posters and tagged Damato, Kirk, Lee Meredith, Losira, mccoy, Star Trek, Sulu. Bookmark the permalink.